Airplane repossessions, European investigations of possible anticompetitive practices in commercial aviation, United Continental Holdings new CEO in the hospital, the launch customer for the ultra-long-range Airbus A350, the final US Airways flight, and airline growth into Latin America and the Caribbean. Ken Cage is owner and president of International Recovery & Remarketing Group (IRG). IRG specializes in services such as investigation, recovery, and remarketing of specialty assets, including aircraft and yachts. Their repossession agents are licensed, bonded, and insured by the State of Florida. Ken joined IRG in 2005, and has been involved in thousands of repossessions and investigations in all 50 states, as well as several foreign countries. Ken describes the process that initiates an aircraft repossession, how the owner is located, the preparation work required, actually taking the airplane, and how it is sold to recover the note-holder’s investment. We ask Ken where he finds the pilots to fly the planes away, what their role is, and how they contribute to a safe repo. Ken also describes how the Airplane Repo TV series came about, and how closely it matches the reality of Ken’s professional experiences. Ken is a licensed repossession agent, private investigator, and yacht broker with over 20 years experience in the banking and collections industry. Ken has experience in skip tracing and investigation in the finance sector. Ken has been a member of many organizations related to the investigation field including American Society of Industrial Security, the International Society of Healthcare Safety and Security, the National Association of Chiefs of Police, Aircraft Owners & Pilots Association (AOPA), National Aircraft Finance Association (NAFA), and International Association of Marine Investigators (IAMI). 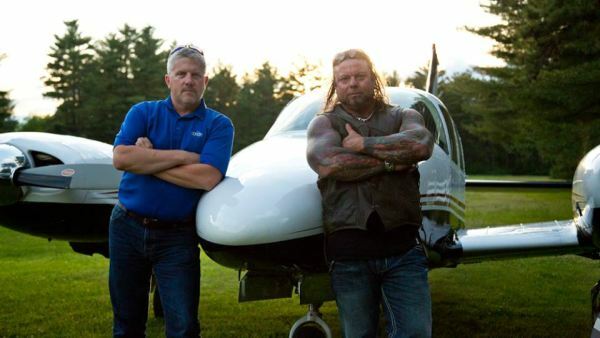 Follow Ken on Twitter at @KenCageRepo and on Facebook at Ken Cage Airplane Repo. See also the Discovery Channel webpage for the TV series Airplane Repo, and the Airplane Repo Fan Club on Facebook. As an extra surprise, our Main(e) Man Micah joins us this episode as a guest co-host! United Continental Holdings Inc’s new CEO Oscar Munoz has suffered a heart attack, just weeks after he took the job. Singapore Airlines has signed an agreement to be the launch customer for the new A350-900ULR, an ultra-long-range variant of the Airbus A350. This will let them resume non-stop flights between Singapore and the United States. 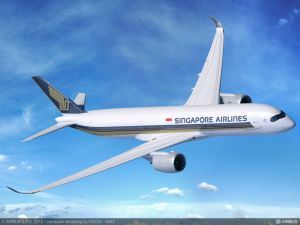 Singapore Airlines has 63 firm/20 option A350-900s on order. They will convert 7 firm and 4 options to the -900ULR, which will have a range of up to 8,700nm. The Airline also has 20 purchase options, four of which will be converted into firm A350-900 orders. This results in 67 firm A350s and 16 options. Singapore Airlines operated non-stop flights between Singapore and both Los Angeles and New York with A340-500s until 2013, when the airplanes were retired. An Airbus A321 became the last US Airways branded flight when it landed in Philadelphia. From now on they’re all American Airlines flights. 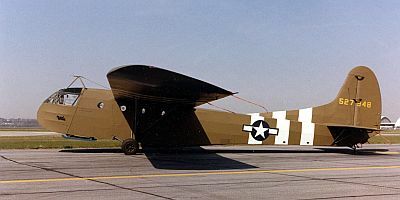 The plane was designated as Flight 1939, named for the airline’s founding year. Southwest, JetBlue, and Spirit are adding destinations to Latin America and the Caribbean. 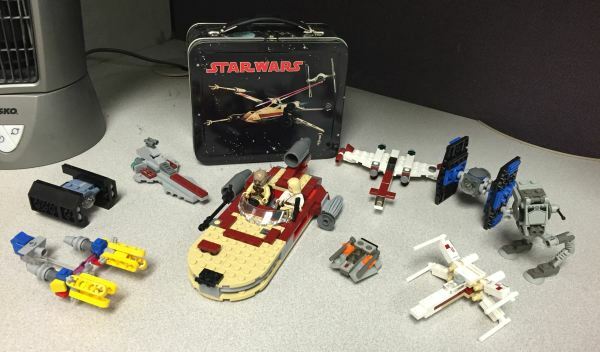 A strong U.S. dollar makes overseas travel attractive for Americans, and a growing Latin American middle class has more disposable income and looks to travel to the U.S.
David continues his Journey to the Force awakened by discussing the Seinar Fleet Systems TIE Fighter and it’s derivations. 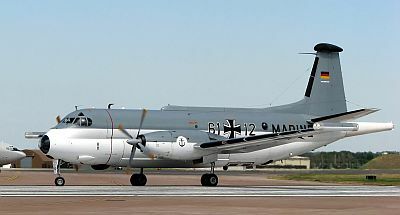 It has almost as many variants as a C-130. Almost but not quite. Pieter talks to Gary Wilson from Routeshoot, a smartphone and tablet app being utilised for aviation. It is designed to record video and tag GPS coordinates together so that the user can see where and when they were at a location, along with a video record. 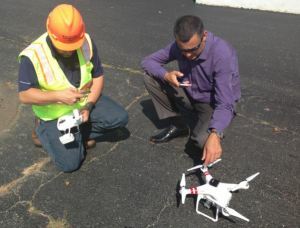 Pilots are using it for IFR purposes and commercial organisations such as utilities are using it to track their products and equipment filmed and coordinated using helicopters and UAS. Follow them at @RouteShoot. Post photo: Ken Cage is the guy on the left. The big guy on the right is bounty hunter, MMA fighter, and champion power lifter Danny Thompson. This entry was posted in Episodes and tagged A350, EC, IATA, repo, Singapore, TV, United-Continental, US Airways on October 21, 2015 by maxflight. 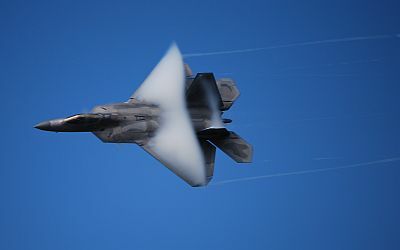 F-22 pilot Rob Burgon talks to us about fighter performance, engines, thrust vectoring nozzles, and more. Also, his Red Flag experience and how he earned the call sign “Shotz,” and the move from Holloman AFB to Tyndall AFB as the 7th Fighter Squadron shuts down. Tally One is Rob’s new blog, a place to share the fighter jet experience, and for others to share their stories too. He’s even created the Tally One Store with aviation apparel. Returning guest Henry Harteveldt talks to us about the Justice Department civil lawsuit blocking the proposed merger between American Airlines and US Airways. David Vanderhoof’s Aircraft of the Week: the C-130 Hercules. Grant spent the week vacationing in Bali, Indonesia, and while this is enough to make the rest of us jealous, he did take the time to compile some notes on the flights he took to get there, flying on Virgin Australia in business class. In other news, Jetstar & Qantas announce that Melbourne will be the base for their 787 Dreamliner fleets, no doubt taking up residence in the former maintenance centre that Qantas closed down recently. United Airlines announced this week that their regular 747 services from the US to Sydney & Melbourne will be replaced from April next year with 777’s. This represents a slight decrease in seat capacity on these very competitive routes, but somewhat balanced by the anticipated improvement to comfort and service, and no doubt operating costs to the airline. Steve & Grant will be in Brisbane this weekend thanks to Aviation Australia for the annual Careers Expo. If you’re in the Brisbane area, drop by and say hello! Taking time out from his vacation Frenchez Pietersz from AviationPlatform joins us to update us on developments in Holland and France with Air France and KLM looking to make significant savings across the group. One of the areas of focus is maintenance and changes are being made to the use of facilities for heavy maintenance and C-checks across the world. LinkedIn, Facebook. 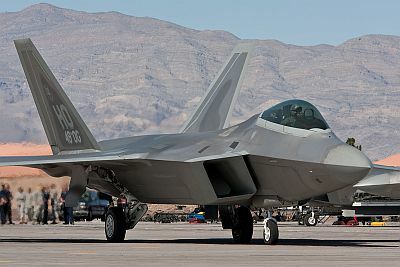 This entry was posted in Episodes and tagged American Airlines, F-22, merger, US Airways on August 21, 2013 by maxflight. Our guest this episode is Ravi, also known as The Raviator. Ravi gives motivational presentations designed to encourage people to become involved in aviation. 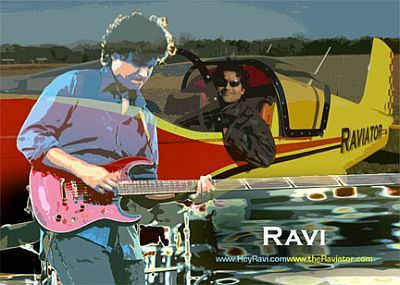 Ravi has presented at AirVenture, Sun ‘n’ Fun, AOPA Summits, ATAC (Air Transport Association of Canada), Embry-Riddle, University of North Dakota, and many other places. He’s a sport pilot and also a musician who has played his guitar on the Letterman and Leno shows, not to mention Madison Square Garden and the White House. He’s also produced AirVenturous, a song about discovering and participating in one of humanity’s greatest achievements, Aviation, and how it is showcased by the greatest air show in the world, AirVenture. Find more Ravi at his Facebook Page. We talk about the inspiration for AirVenturous, pilot shortages and how that issue might be addressed such as dealing with the cost of becoming a pilot, wages paid to pilots, actions some airlines are taking, scholorships, and more. Phil Derner from NYCAviation is guest co-host. David’s Aircraft of the Week is the Grumman F6F Hellcat. Exercise Pitch Black providing some excellent plane spotting opportunities in Darwin, the Red Bull Air Race is planning to re-launch in 2014 and several Australian cities are bidding to host a round, Australian researchers have invented a laser system to augment pitot tubes, Virgin Australia & Sky West announce the establishment of a joint training scheme based in Adelaide. We also offer a clarification of the carbon tax cost increases to agricultural aircraft, which we talked about in Episode 207. 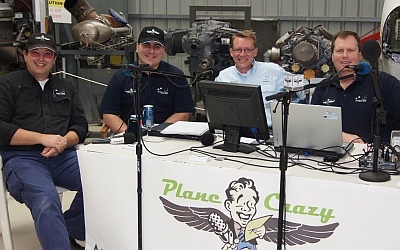 Find more from Grant and Steve at the Plane Crazy Down Under podcast, and follow the show on Twitter at @pcdu Steve’s at @stevevisscher and Grant at @falcon124. Australia Desk archives can be found at www.australiadesk.net. Pieter welcomes back the AviationPlatform.com team to discuss the latest Benelux news focusing this week on Luxembourg. Frenchez Pietersz and Carmen Van Boeckel gives us their views on Cargolux, the Boeing 747-8F and who’s using social media tools to improve their customers experience (or not)! Aviation Platform is a very different and innovative aviation website so do have a look at their content and activities. Find Aviation Planform on Twitter as @AviationPlatform. Carmen Van Boeckel is @iCarms and he blogs at icarms.wordpress.com. Find Pieter on Twitter as @Nascothornet, on his blog Alpha Tango Papa, on Facebook at XTPMedia, and at the Aviation Xtended podcast. Opening music courtesy Brother Love from the Album Of The Year CD. You can find his great music at www.brotherloverocks.com. Closing music is AirVenturous by Ravi. This entry was posted in Episodes and tagged AirVenture, ETS, Flying Green, Indonesia, music, pilot shortage, Pilot's Bill of Rights, US Airways on August 8, 2012 by maxflight. David Parker Brown from Airline Reporter.com joins us fresh from the 2012 Farnborough International Airshow to give us his perspectives. Pieter Johnson also attended and gives us his view of the flightline and aerial display. 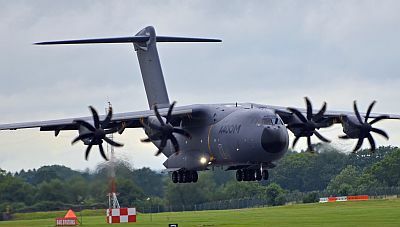 Speaking of airshows, listener Seb Spencer provides an audio report from the 2012 Royal International Air Tattoo. 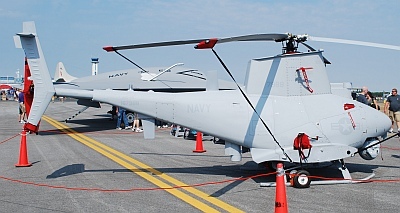 Pieter attends the Farnborough 2012 International Trade and Air Show and gives us his view of the flightline and aerial display. He also wraps up Day 3 of the Trade Show with an interview with Tim Robinson from Aerospace International with some interesting developments from Virgin and Richard Branson. 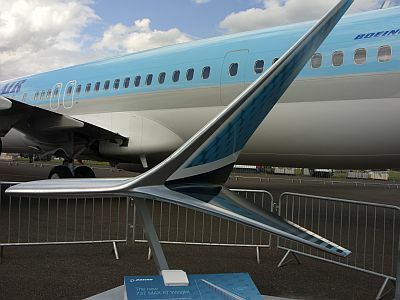 Also on show was the new Boeing 737Max Winglets. Quite a nice piece of engineering design, almost artistic! Opening and closing music is provided by Brother Love from the Album Of The Year CD. You can find his great music at www.brotherloverocks.com. This entry was posted in Episodes and tagged 737MAX, Airbus, airshow, Boeing, Bombardier, CSeries, Farnborough, GTF, Leap-X, RIAT, US Airways on July 17, 2012 by maxflight. Max, Rob, and David field questions from listeners who want to learn just a little bit more about us Airplane Geeks. We also talk about the BEA’s final report on the Air France Flight 447 crash, the Airbus plan to open an A320 final assembly facility in Mississippi, issues with the Airbus A400M engines, and how the heat affects airliners, at least in Washington, D.C.
With the 2012 Farnborough International Airshow underway, you might want to check out the Farnborough Air Show 2012 Micro-News Site Coverage List at Jet City Star – a great resource. Ryan Hothersall’s list of models. David’s Aircraft of the Week is the Waco CG-4A glider, the Hadrian. Grant gets his Private Hot Air Balloon Certificate! He tells us about the process over the past week, including his first solo flight. Congratulations Grant!! In the news, Virgin Australia announces an order for 23 737MAX8 aircraft, arriving on our shores from 2019. Virgin also plans to defer some additional 737-800 orders until after 2016, but will retire its entire -700 fleet by the end of 2013. This entry was posted in Episodes and tagged A400M, accident, AF447, Airbus, BEA, RIAT, US Airways, Waco CG-4A on July 10, 2012 by maxflight. Guest Steve Harris is currently a senior at the University of Michigan in Aerospace Engineering and writes the Aeroscholar blog. He’s also the president of the UofM Student Chapter of The American Institute of Aeronautics and Astronautics (AIAA), and is a member of the Jet Engine Team of Michigan. Steve is starting to pursue a private pilot’s license, he has taken students on a tour of the top aerospace companies in southern California, he attends the Aerospace Sciences Meeting every year, and through the AIAA he lobbies for the aerospace industry in Washington D.C. Steve Tweets as @Aeroscholar. 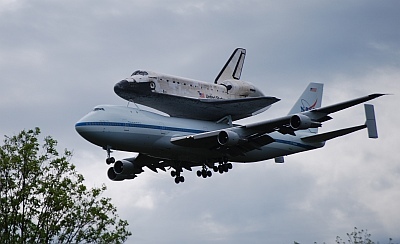 David Vanderhoof gives us a report on the Space Shuttle swap-out at the Smithsonian National Air and Space Museum’s Udvar-Hazy Center at Dulles Airport. He spoke with NASA Director Charles F. “Charlie” Bolden, NASM Curator Dr. Helen Morill, and Senator John Glenn. Dan spoke with Virgin Galactic’s CEO and President George Whitesides aboard Virgin America’s inaugural flight from Los Angeles to Philadelphia. David’s aircraft of the Week: the Aérospatiale SA 315B Lama. No Australia Desk news report this week, but you can still find more from Grant and Steve at the Plane Crazy Down Under podcast, and follow the show on Twitter at @pcdu Steve’s at @stevevisscher and Grant at @falcon124. This week on Across the Pond, Pieter talks again to Rohit Rao from AeroBlogger about developments in India with the focus on airlines. There’s more news from Kingfisher and the guys look at some of the new airlines starting up in the region. Find Rohit on Twitter as @TheAeroBlogger. This entry was posted in Episodes and tagged AIAA, American Airlines, Bird Strike, Delta Air Lines, NASA, NASM, Space, US Airways, Virgin America, Virgin Galactic, warbird on April 24, 2012 by maxflight. This is another Bits and Pieces episode. Occasionally, we take holiday weekends off and instead of recording a new episode together, we each contribute a pre-recorded segment and put them all together into a complete episode. 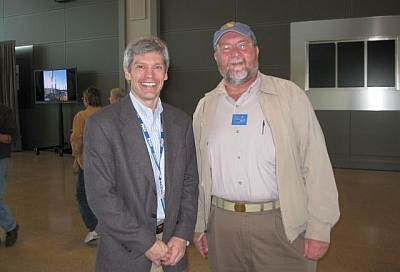 Benet Wilson, the new Director of Media Relations for the Aircraft Owners and Pilots Association. Benet talks about her new job and provides some information about the AOPA Air Safety Institute. Find her personal site at AviationQueen.com. Walter Kreiter, Director BAMS UAS Business Development. Tighe Parmenter, Business Development, Navy UCAS Program. Dion Kolliopoulas on the Firescout. The Across The Pond segment this week has Pieter looking at his aviation travels. What was his favourite aircraft to fly on, what was the best looking aeroplane that he had flown on, and where in the world is his favourite airport. He also describes the most unusual aircraft he has ever piloted. The full list of aircraft he has travelled on can be found on his blog Alpha Tango Papa. In the Australia Desk report, Steve likes the current exchange rates, RAAF C-17 acquisition programme progresses, 4 ex-RAAF C130H aircraft gifted to Indonesia, 23 ex RAAF F111 airframes dumped in landfill in Queensland, Qantas CEO death threats investigation dropped by New South Wales police, Qantas social media blunder, Tiger Airways has best on time performance for 2011, Virgin Australia announces $68M loss, CASA announces review of UAV procedures. Dan Webb brings us some airline news, including the slot swap between Delta and US Airways at Laguarda and Washington National airports, and some results (and speculation) on the recent FAA slot auction. 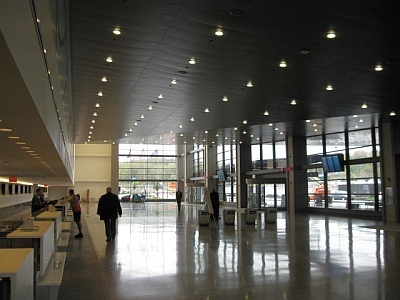 We received one listener v-mail on the recent tarmac delays at Bradley International Airport in Connecticut. We’ve got that as well as a response from Rob. Finally, for those who like the outtakes, we have quite a few: a little from this episode, a few from the AusDesk, and past outtakes from Pieter Johnson. We finish up with part of the episode 174 pre-show that gives you a little insight about what actually happens before the show starts. Lynda Meeks, Girls With Wings. Next week we’ll return to our usual format with the full complement of co-hosts and a great guest. Follow the @AirplaneGeeks on Twitter and on Facebook, send us email at thegeeks@airplanegeeks.com, or leave a message on our listener line: (361) GEEKS01. All post photos by David Vanderhoof. This entry was posted in Episodes and tagged AOPA, C-130, C-17, CASA, Delta Air Lines, F111, Qantas, RAAF, Slot Auctions, tarmac, Tiger Airways, UAV, US Airways, Virgin Australia on November 29, 2011 by maxflight. Dale Carlson, Executive for Advanced Engine Systems at GE Aviation is our guest. 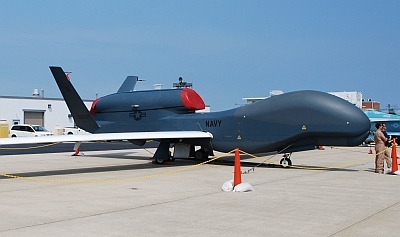 Dale is responsible for all government funded technology initiatives, and also for aligning technology as it matures with future propulsion system offerings for GE Aviation. We talk about why this is an exciting time to be in the commercial engine and airframe business. What’s left in Brayton cycle engines (not much) and what we can do about that. Why pulse detonation is not a good solution. Dale talks about adaptive (or variable) cycle engines, the fuel burn improvements needed for new engine offerings, and why we’ll see integrated airframe and propulsion systems in the future, the blended wing aircraft being an example. Distributed propulsion with large numbers of engines on the aircraft is a future possibility, as is all-electric propulsion. Of course, we can’t talk about fan diameter without covering thermal efficiency and propulsion efficiency. We talk a little about the future of the F136. 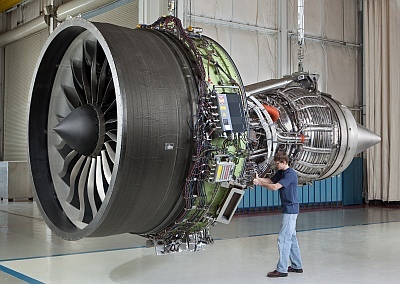 That’s the engine GE is developing as an alternative to the Pratt & Whitney F135 that powers the F-35 Joint Strike Fighter. Finally, Dale offers some sound advice for people considering a career in aerospace. Next-Gen Winglet for KC-46A Tanker? David provides another powerful history lesson in his This Week in Aviation segment. In this week’s Australia Desk Report: Qantas politics goes on and on and on….. RAAF takes delivery of the last four Super Hornets, Omega Tanker takes three ex RAAF 707 tankers, Department of Defence looks seriously at C27J Spartan to replace Caribous, RAAF looks at a disposal date for C130H. Find the boys down under at the Plane Crazy Down Under podcast, and follow the show on Twitter at @pcdu. Steve’s at @stevevisscher and Grant at @falcon124. 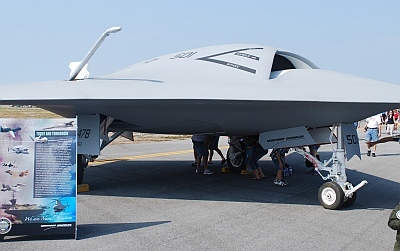 Careers in Aerospace – For young people looking toward a career in aviation. From a partnership of The Royal Aeronautical Society and A|D|S Group (Advancing UK AeroSpace, Defence and Security industries). In memory of Anthony Kenneth Johnson RN PO TAG. 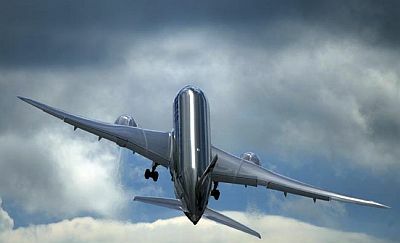 This entry was posted in Episodes and tagged ANA, B787, Bombardier, CSeries, electric, engines, GE, GEnx, KC-46, Tanker, US Airways, winglets on October 25, 2011 by maxflight. Author, writer, and pilot Kevin Garrison returns to discuss aviation news and offer the benefit of his years of experience and wisdom. Kevin tells us about the Kentucky Institute for Aerospace Education that seeks to improve student learning in science, technology, engineering, and mathematics (STEM), and create career pathways in aerospace. Kevin’s books, including Kindle editions, can be found on Amazon.com. His new ebook Fly Like You Mean It will be released soon for the Kindle. In this week’s Australia Desk Report, Steve and Grant talk about an LSA that crashed into a ferris wheel, three ex-RAAF tankers purchased by Omega Tanker, and Grant gets a carried away explaining the Albuquerque Box Effect. Find them on the Plane Crazy Down Under podcast, and follow the show on Twitter at @pcdu. Steve’s at @stevevisscher and Grant at @falcon124. The Grill the Geeks segment returns and our listeners have little trouble stumping us. Send easier questions! 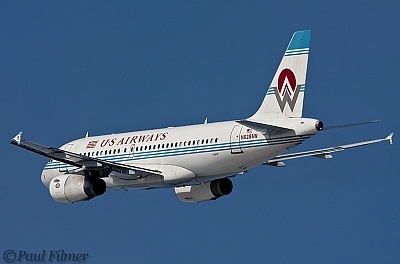 The US Airways A319 post photo taken at Anchorage International (PANC) is from amazing photographer Paul Filmer. Find his work at Skipyscage Photography. Listener Micah sent along some photos from the Grand Opening of the new terminal at Portland International Jertport PWM in Portland, Maine. The tour by Airport Director Paul Bradbury went behind the scenes through the baggage handling and screening facilities, and the HVAC system, which is geothermal! Paul is a great supporter of plane spotting and set up a free parking area with signs and pictures illustrating the kind of commercial aircraft that fly in and out of PWM. This entry was posted in Episodes and tagged B747-8, Boeing, Book, Cargolux, F-16, iPhone, Iraq, UAV, US Airways on October 4, 2011 by maxflight. Our guest this episode is industry researcher and analyst Henry Harteveldt. He’s a Co-founder of Atmosphere Research Group where he will head up the airline and travel practice of this research and advisory firm that will look at ecommerce, distribution, marketing and operations planning for airlines, hotel companies, travel agencies, GDS companies, and marketing agencies. Henry can be found on Twitter at @hharteveldt. Steve and Grant recorded the Australia Desk Report on location at Coldstream Aerodrome (YCEM) where they had their mobile studio set up for the Australia Centre for Mission Aviation Discovery Day. Find them on the Plane Crazy Down Under podcast, and follow the show on Twitter at @pcdu. Steve’s at @stevevisscher and Grant at @falcon124. This week on Across the Pond, Pieter Johnson talks to Brian Burrage, co-founder of the Vickers Viscount Network and an ex Rolls Royce Dart Engineer. Brian tells us about the success of the Viscount as Britain’s best post war selling turboprop airliner, being sold world-wide with over 400 being produced. None are left flying but the Viscount Network aims to keep the aircraft awareness high through a fabulous website, talks and visits to the remaining airframes. You can find Pieter Johnson on Twitter at @Nascothornet. Post photo: N7406 c/n 104 built for Capita Airlines and seen here in June 1962 operating for United. Credit Brian Burridge. Post photo: The Plane Crazy crew live on location. Can you name them? This entry was posted in Episodes and tagged A321neo, Airbus, B737, Boeing, passenger rights, Slot Auctions, Southwest, US Airways on September 13, 2011 by maxflight.